An instructional DVD and 14-piece instrument instructional set for a post-toddler rhythm section. 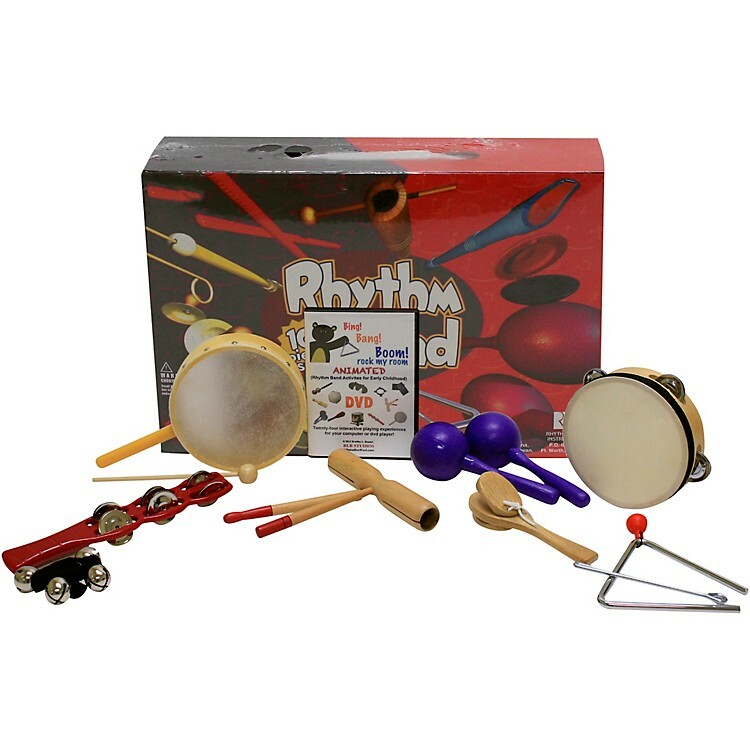 This Bing Bang Boom 14-piece Rhythm Kit and Interactive DVD set includes fourteen simple, rhythmic instruments and a DVD with eight fun-filled musicmaking experiences. Ideal for ages 3-6 and paired with age-appropriate non-pitched percussion instruments from the Rhythm Band Instruments catalog, this DVD activity program is designed to introduce very young children to early childhood musical experiences by using animation to focus the child's attention. Your preschool rhythm section awaits! Order today.